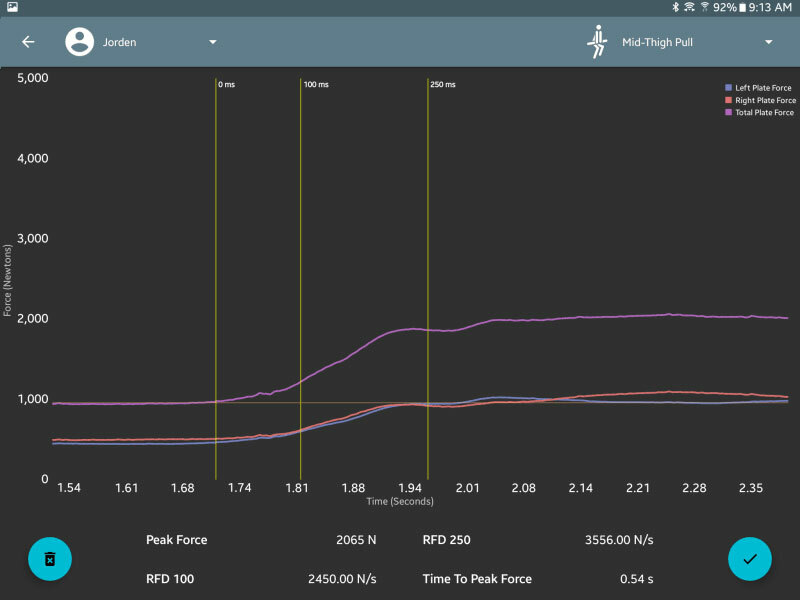 Test your athletes easily and efficiently. Our approach is different than other force plate software companies. Hawkin Capture, a native Android application, wirelessly communicates with our force plates. 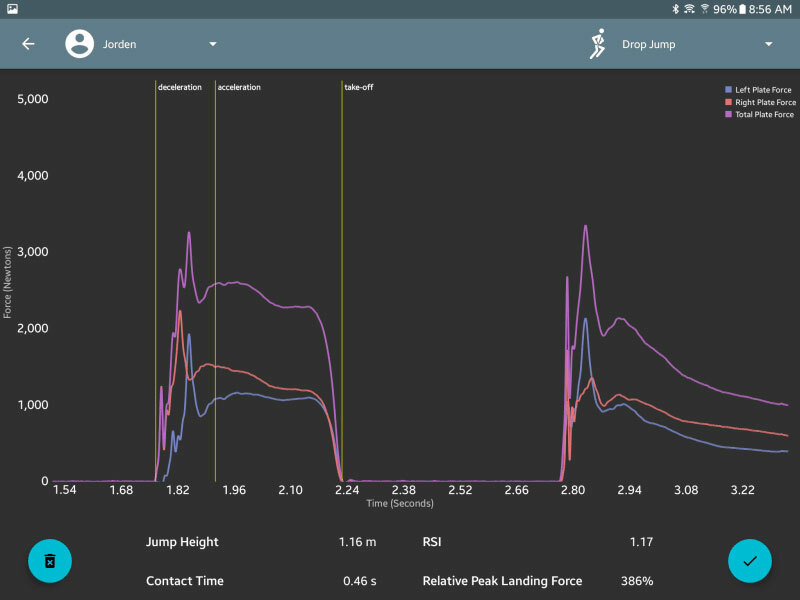 With a simple workflow and minimal interaction – coaches and others can quickly and easily capture jump data, report immediate feedback on a few key parameters for each test, and move forward in their testing program. Users can also manage their database, add and remove athletes, and organize athletes into groups – all within the app. 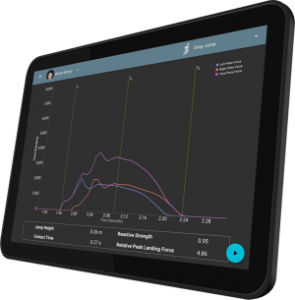 Hawkin Capture is built on a simple and clear workflow – select your athlete, select your test – and go. After a test is completed the user can immediately move on to the next athlete, or begin another test. Groups enable filtering of your athlete lists – further enhancing the speed at which you can test a large volume of athletes at a time. The CMJ is the standard of jump testing. 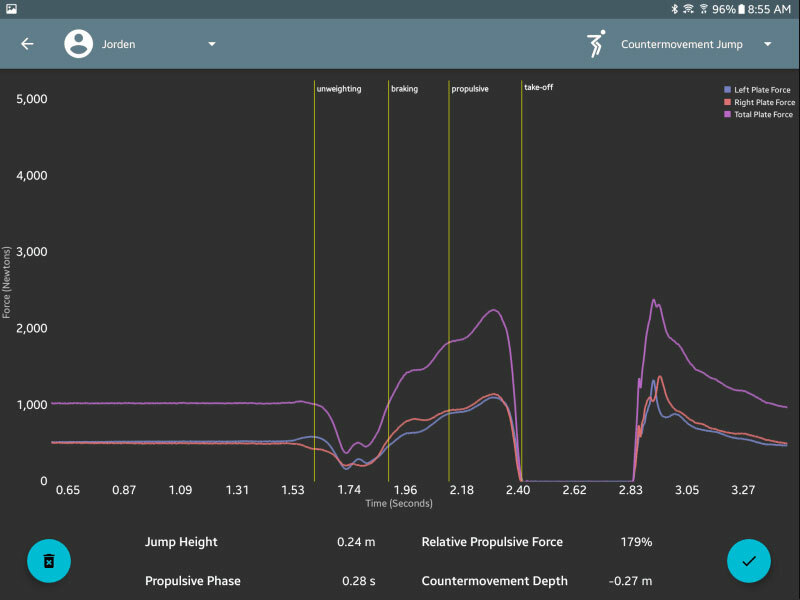 A repeatable and easy to perform test, the CMJ provides deep insight into athletic ability, and is a great example of a relatively slow stretch-shortening cycle (eccentric-concentric contraction). The concentric-only vertical jump gives insight into how an athlete functions without the benefit of an eccentric-loading phase. It’s the countermovement jump without the countermovement. 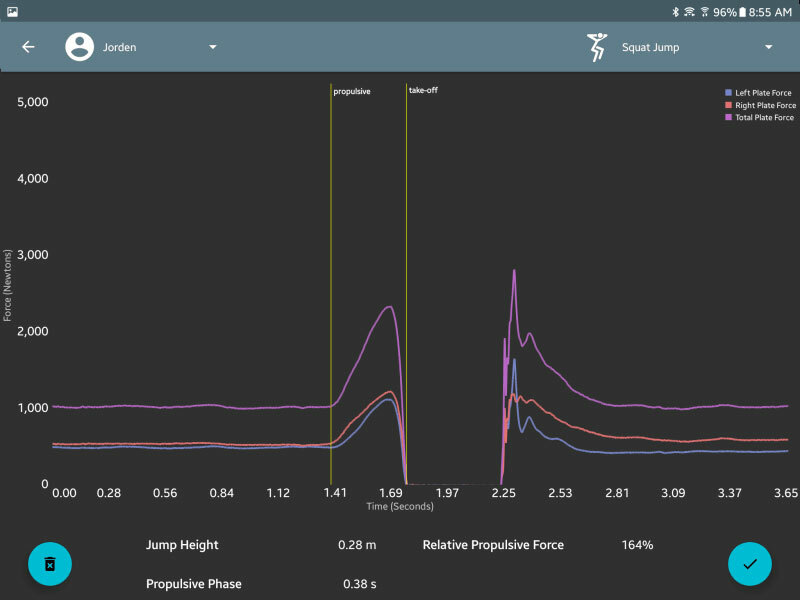 A long-time standard test for reactivity, the drop jump requires a fast stretch-shortening cycle and gives insight into an athlete’s elasticity and reactive strength. The Isometric test is used for Isometric mid-thigh pull tests, and can be used for any other isometric test where RFD (rate of force development) is of interest. Isometric squats and isometric hamstring tests are easily performed using this protocol.